Who Is 'Riccio,' the Ex-Con Behind OJ Simpson's Robbery? A simple question posed to O.J. Simpson at his parole hearing on Thursday in Carson City, Nevada — “What were you thinking?” — led Simpson into a complicated story involving a figure named “Riccio.” But who is Thomas Riccio, the memorabilia dealer Simpson placed at the center of the case? 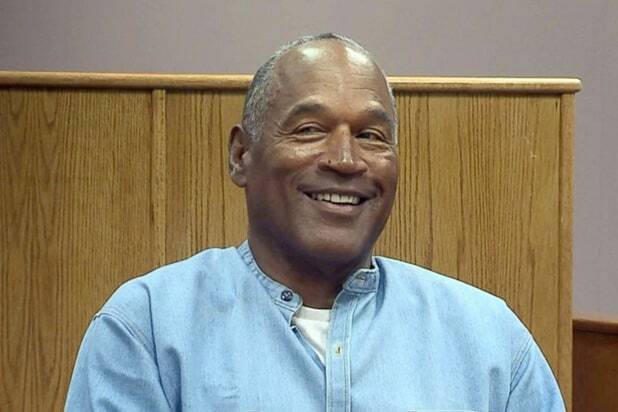 Riccio, 54, is the shaggy gray-haired figure familiar to viewers of the final installment of last year’s documentary “OJ: Made in America.” Simpson testified that Riccio goaded him into going to the Palace Station hotel in Las Vegas to retrieve belongings he said were his. Two of the men he brought along as “security” were armed, and Simpson was sentenced to prison for robbery and other charges. “I wish Riccio had never called me,” Simpson told the parole board. One of Simpson’s victims, Bruce Fromong, also testified Thursday that he believed Riccio was partly to blame. The site also included a lengthy detailing of Riccio’s rap sheet. Simpson told the Nevada parole board on Thursday that Riccio instigated his trip to the hotel by telling him guys were planning to “fence” his property. Simpson asked for pictures of the property, and was surprised by what Riccio sent him. “What I saw was my family, my mother’s albums, pictures of my kids growing up,” he said. Simpson said he didn’t think he needed security, but was convinced to bring backup. Simpson said he didn’t condone his associates using weapons, and said he never saw them. Still, he said, he took the fall because of his notoriety. “They got a get out of jail free card” when they mentioned his name, he said.